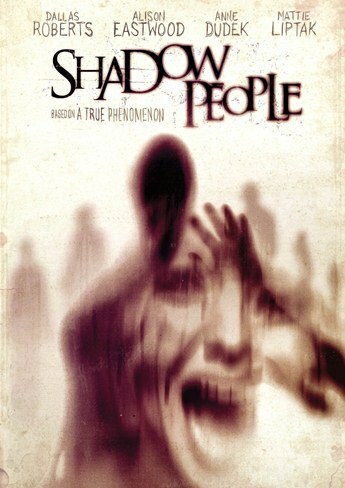 Anchor Bay picked up the supernatural thriller Shadow People around May of last year. The distributor has issued word today that it will release the flick on DVD and Blu-ray March 19th. The film is based on a true story about small town radio personality Charlie Crowe (Dallas Roberts, The Walking Dead) who unravels a conspiracy about encounters with mysterious beings. These Shadow People were the cause of hundreds of unexplained deaths. He encounters CDC Epidemic Intelligence Agent Sophie Lancombe (Allison Eastwood), whose investigations entwine her with Charlies own discoveries leading them both into a dark world and a decades old cover-up. The film explores the actual historical evidence of SUNDS and the real phenomenon of an inverse placebo effect, where the mind can actually kill the body through false belief. The film is backed up by real archival footage of a suspected outbreak of SUNDS, which occurred in rural Kentucky, and takes the found footage genre to a new level by intercutting the story with the actual interviews of the real-life participants, local news footage and radio clips from the event.